Indian bracelet in 22k gold plated & multi coloured. Set with diamonte stones. Opens via spring loading, one size fits 2.4, 2.6, 2.8. 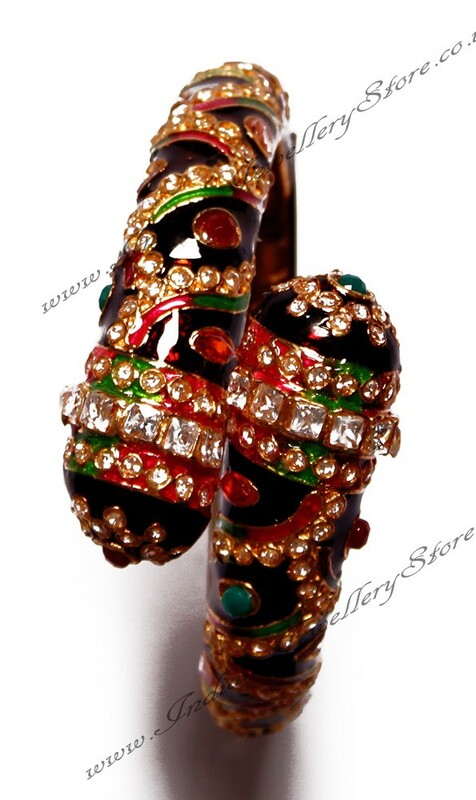 This bangle has stunning enamel (meena) work. Indian bracelet in 22k gold plated & multi coloured. Set with diamonte stones. Opens via spring loading, one size fits 2.4, 2.6, 2.8. 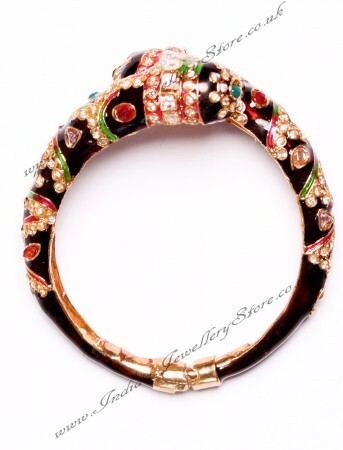 This bangle has stunning enamel (meena) work.